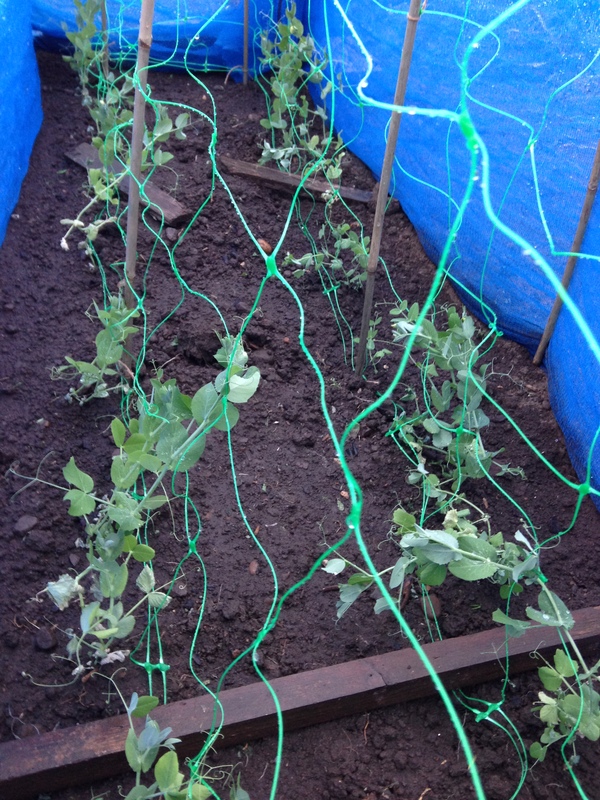 The job at the top of my list this weekend was to get the peas to the allotment before they started climbing up the greenhouse walls. There were a couple of flowers starting to show (i’m not sure if that’s a good thing at this stage) and they were clinging on to each other for dear life when we tried to separate the individual plants. I’ve never really been interested in growing peas before, mainly because I thought they were difficult. But this year I’ve thrown caution to the wind and decided to give it a go. We’ve gone for a two sided frame with netting for the peas to climb up, surrounded by a little mesh fence to stop the pigeons calling in for a snack. Looking forward to seeing if these will take off and grow up the frame. Very excited!